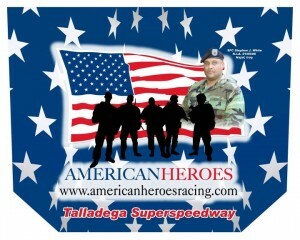 Empire Racing LLC #82 and American Heroes Racing honor fallen Talladega native Stephen J. White — at Talladega Superspeedway. 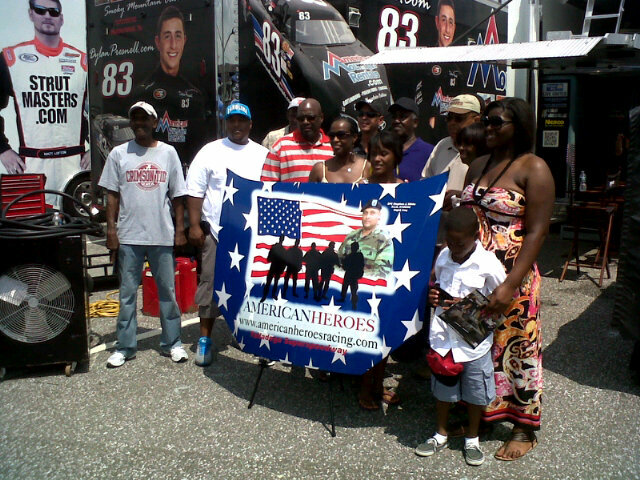 Empire Racing and American Heroes honor one of Talladega’s own fallen American Heroes — at Talladega Superspeedway. 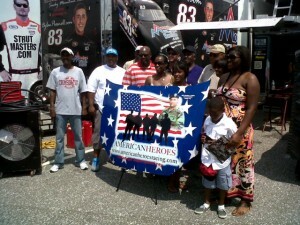 The family members of SFC Stephen J. 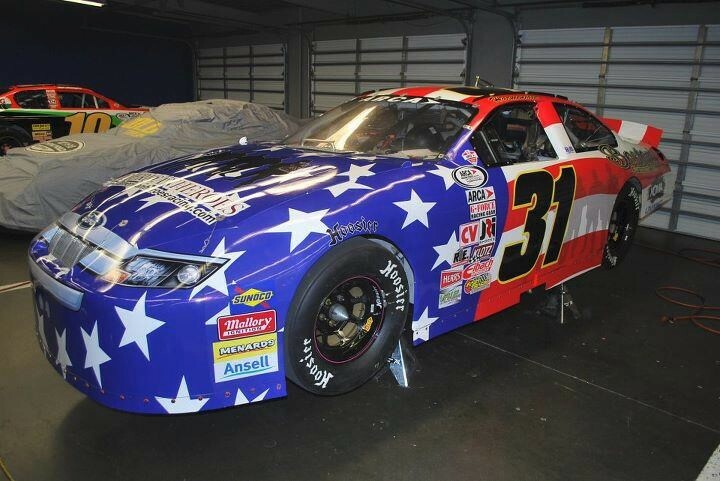 White at Talladega Superspeedway ARCA garage area. It’s going to be an amazing my day my friends!!! 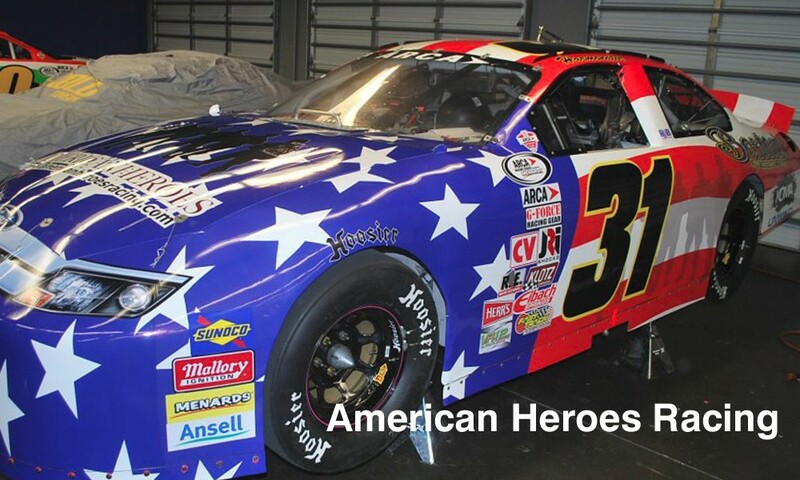 Cheer on the Empire Racing/American Heroes Racing #82 tonight in the ARCA 250!!! 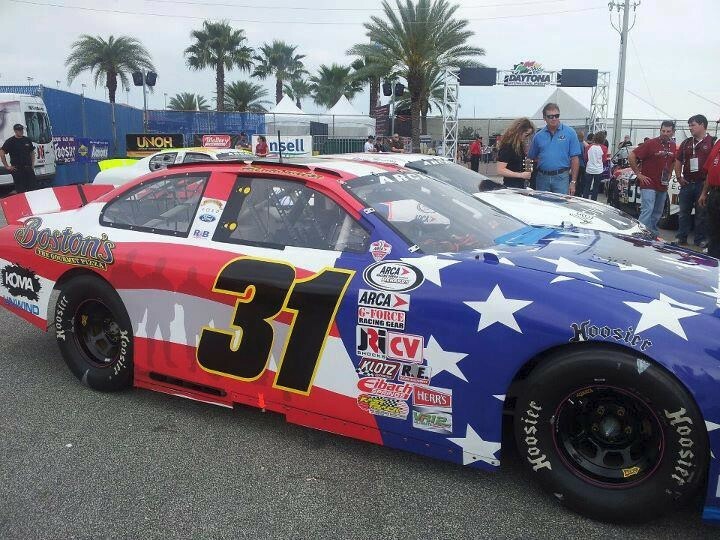 SFC White’s family will be arriving at the track around 10 for a meet and greet with Sean Corr and the Empire Racing team. 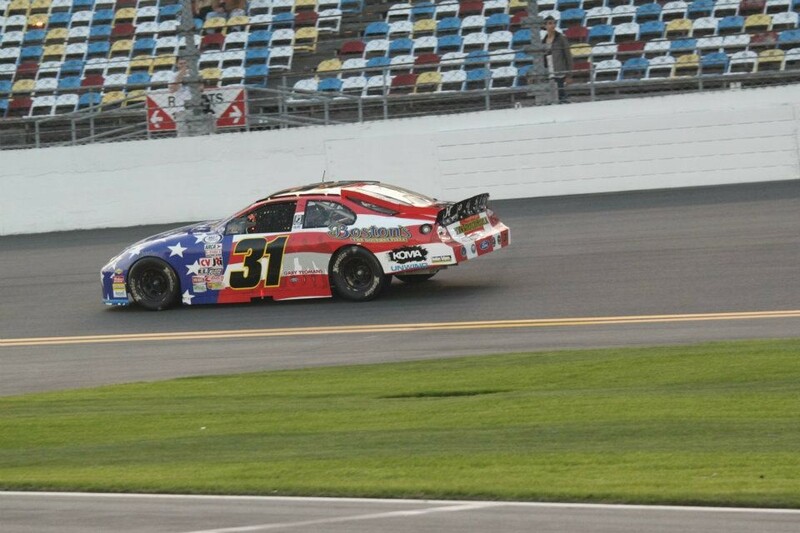 Then returning tonight to cheer on the 82 push towards the front!!! This will be a big weekend in Talladega folks, our sister team will be racing in honour of fallen hero and Talladega native; Sergeant First Class Stephen J. White. SFC White, 39, father of seven children, was killed in the Iraq war on January 5, 2006 while on his fifth tour of duty after 20 years of military service. White was assigned to the 3rd Battalion, 16th Field Artillery, and 2nd Brigade Combat Team of the 4th Infantry Division, based in Fort Hood, Texas. 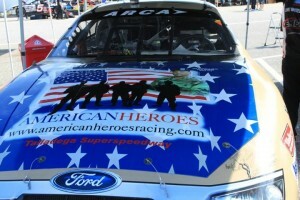 We will be hosting 26 family members and will be presenting the hood to the family after the race.